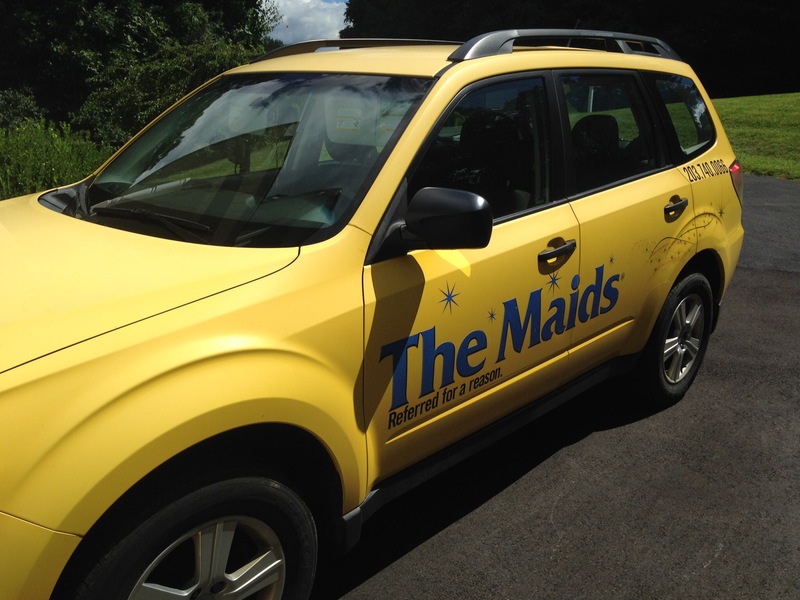 Here I am, sitting outside on a picture-perfect day and feeling happy with my decision to hire The Maids, a company that sends a team of cleaning ninjas trained in seek-and-destroy-dirt missions. Many years ago, I had hired someone to clean and it would take her half a day to finish. I ended that agreement when she started to send substitutes on days she couldn’t make it. I don’t like having people in my house that I don’t know. Sometimes, I don’t like having people in my house that I do know, but that’s another story. I tried to keep up with the housework myself but couldn’t hack it, and now that my husband has back issues, it’s all on me. I made a sincere effort with the only-clean-the-parts-of-the-house-they-will-see approach, but perfectionist that I am, I would inevitably overdo and end up with a sprained back or neck and painful feet, followed by sugar cravings as a reward. After all, there’s no monetary compensation when it’s your own house. So once a month, The Maids will deploy a team of four to my home, and they blitz the job in an hour, before the dust balls even knew what hit them. I still do some cleaning myself, tidying up the bathrooms and kitchen in between the monthly service from the pros. I use the term “pros” because the company boasts staffing of bathroom specialists, kitchen specialists, etc. I had a friend who hired a cleaning service years ago — just as a one-time thing — and he ended up cleaning his entire apartment before they arrived, so he wouldn’t be embarrassed. And then when they showed up, he couldn’t stand just sitting there as they cleaned, so he jumped in and helped. So I’m not sure if he paid the cleaning service, or if he ended up on their payroll.